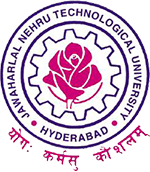 JNTU Hyderabad has announced B.Tech 1st year, 2-2, 3-2, 4-2 Semester’s Regular/Supply Exam Time Tables May 2016 on april 4th, 2016 at jntuh official website. see the condition outside we are not able to rome even so how will we go to give exam in this summer! please postpone it sir! even we are not able to read and concentrate in this unbearable summer . Sir….can u give us correct information..about our xam…nd sir plzz postpone our xams sir…..
Sir plzz postponed exam b’coz our labs are ending on 28 April….so there is no enough time to study….& plzzz give us reply about exams are postponed are not…? sir Is there any postpones in btech 1st year exams …??? ?..if there any postpone tel me sir please…..